If you have received and sent messages on iPad Air/mini, you may want to clear the private information from devices. In this guide, you will learn how to clear messages from iPad Air or iPad mini. 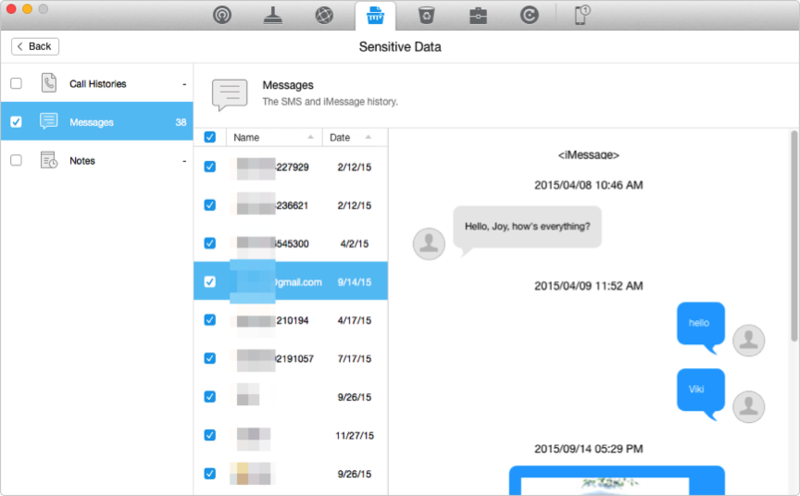 Download this intelligent software to clear the messages on iPad Air/mini to protect personal information. After reading this step-by-step tutorial, you will know how to make it. The iPad Air/mini provides an easy and convenient way to handle communication. We can receive and send messages to get in touch with our friends, family, or business partners in time by using iPad Air/mini. With the Apple's built-in instant messaging (IM) service, we can even send free iMessages via cellular & Wi-Fi. If you like to send the iMessages to chat with friends all the time, you may eventually find yourself with an unmanageable pile of messages. Absolutely, message is a kind of private information for everyone, and all of us want to protect our personal information from leaking. So we had better clear our messages from time to time to protect privacy and free up space. When it comes to removing the messages on iPad Air/mini, many people are used to deleting these messages from iDevices one by one without any option to clear them at once, and the deleted messages could be searched via spotlight as long as they have not been overwritten. Thus, in this iMobie guide，we will give you an easy and quick tool named PhoneClean to remove all unwanted messages from iPad Air/mini permanently with one click. PhoneClean is a useful and wonderful software to clean up the unwanted content on iPad Air/mini. It supports clearing all the messages on iPad Air/mini permanently to protect privacy and free up the storage space of device. It supports creating backups before doing any scanning or cleaning steps to give users a chance to restore the content because of mistaken deletion. It also supports clearing the unwanted data like cookies, caches, temp files, iTunes radio history, browsing history, call history, and more on iPad Air/mini. Step 1. 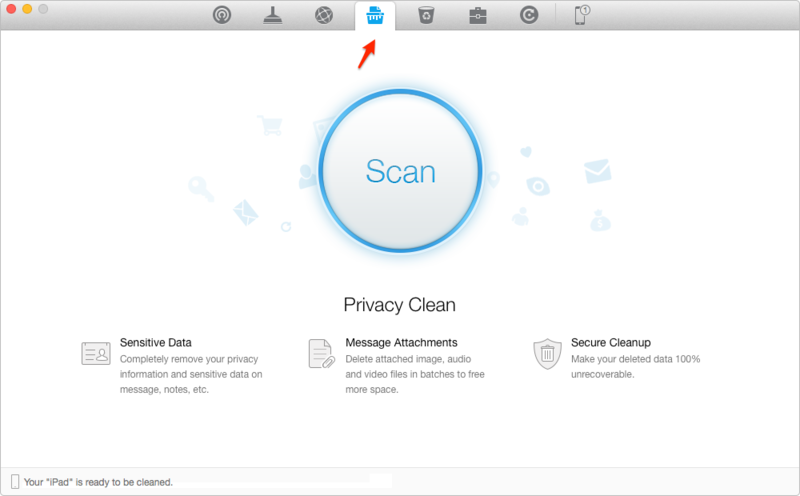 Go to download and install PhoneClean on your computer, and plug in your iPad Air/mini. Step 2. Click on Privacy Clean on the homepage > Tap Scan button. Step 3. Click on Sensitive Data to view the messages on your iPad > Choose the conversations you want to delete > Back to the result page. Step 4. Click on Clean button to delete messages. You can also click Secure Cleanup to find and remove the deleted but still existed messages on your iPad. 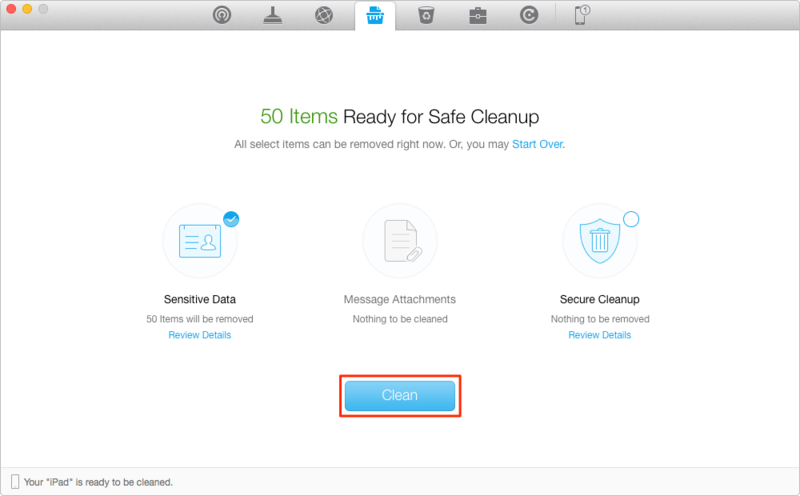 PhoneClean is a professional software to clear out the unwanted data on your iPad, iPhone, iPod touch to free up space and protect privacy from leaking. For any question about this guide, be free to contact our support team via Email. If this guide is useful, please share it with your friends. Why not have a try now?